Adam is growing so fast I cannot keep up with his appetite. 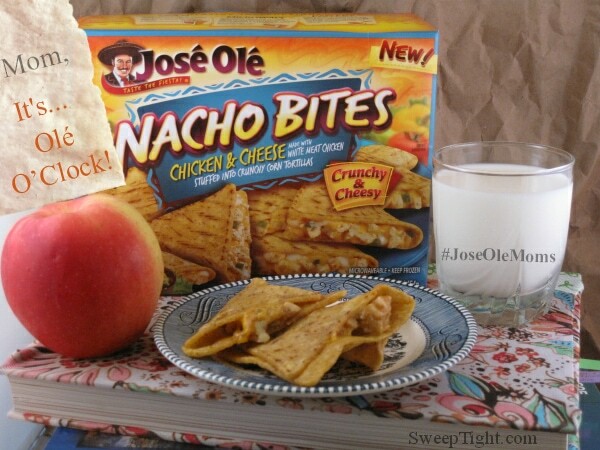 I am so excited to bring you this sponsored post about the New José Olé Nacho Bites. He is able to make these for him and his sister all by himself. They are perfect for after school, especially since I don’t get home in time to help with after school snacks. Plus, they’re delicious for the whole family! After a long day at school, Adam comes home completely ravenous. I am usually still in class myself so I like to keep the kitchen stocked with quick snacks to keep his bottomless pit of a belly satiated. But he is getting sick of the usual snacks. Fruit snacks and granola bars just aren’t cutting it anymore. He needs a hearty option that is easy to prepare and also tastes great. The New José Olé Nacho Bites are awesome. They taste fantastic! Even Chesney, (Adam’s eight-year-old little sister) loves them! With the weather getting cooler, these are a warm treat for a hungry belly. Adam made these all by himself in the microwave. (They can also be made in the oven or fried in a pan.) When he made such a big deal about how scrumptious they were, Ches had him make some for her too. She is a crazy picky eater, so when she said they were great, I knew it was legit. Of course, I had to get in on all the yumminess too, and yep, Mom approves too! I was especially impressed with the chicken… It’s super tasty! These are a hearty after school snack perfect for active, growing kids. With all white meat chicken, 220 calories and 8 grams of protein per serving, I am perfectly happy with letting my kids enjoy these. The ingredients list looks good and doesn’t contain any MSG. Pairing this snack with a glass of milk and a fruit or veggie makes a great mini meal to hold over bellies until I get home to make dinner. You can find out more about José Olé products on their website, Facebook and Twitter. Get $1.00 off any José Olé snack with this coupon! They have a great variety of quick and easy snacks that the whole family will enjoy. Disclosure: This blog post is part of a paid SocialMoms and José Olé blogging program. The opinions and ideas expressed here are my own. Those sounds quite delicious right about now! My husband absolutely LOVES Jose Ole! Those do look good! Love your son’s expression!! oh yes…I’m quite the fan of quick fix mexican food like the Jose Ole stuff. Thanks for sharing the coupon! I don’t have any teens, but I know Hubby would love these, as he eats like he is a teenager, HA! I have 3 teens. My two oldest are girls, and then my soon-to-be-13-year-old is a boy and OH MY can he eat! I should totally stock up on these. I know he’d love them! 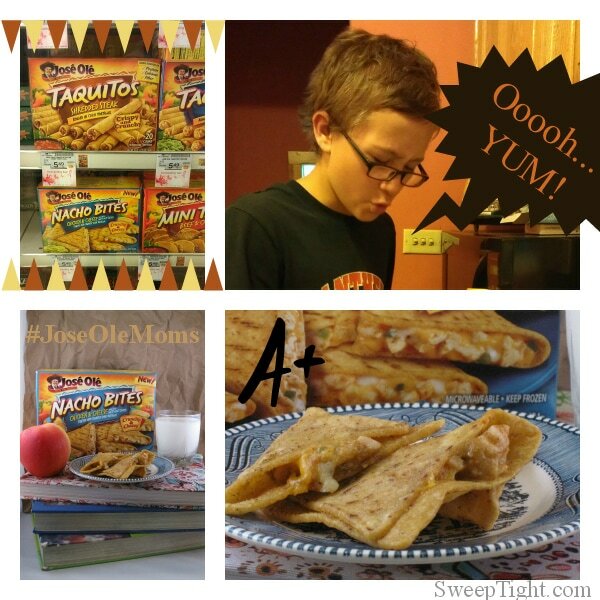 We love Jose Ole products too! 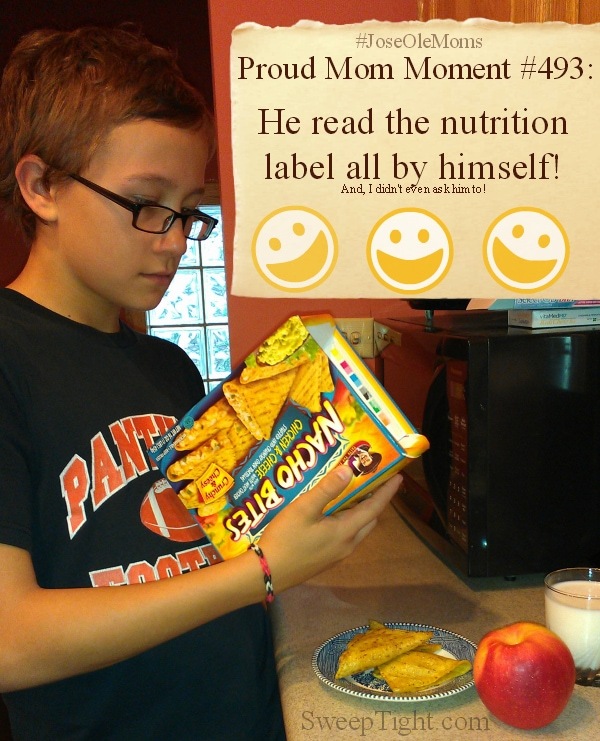 And woohoo that he read the label by himself!